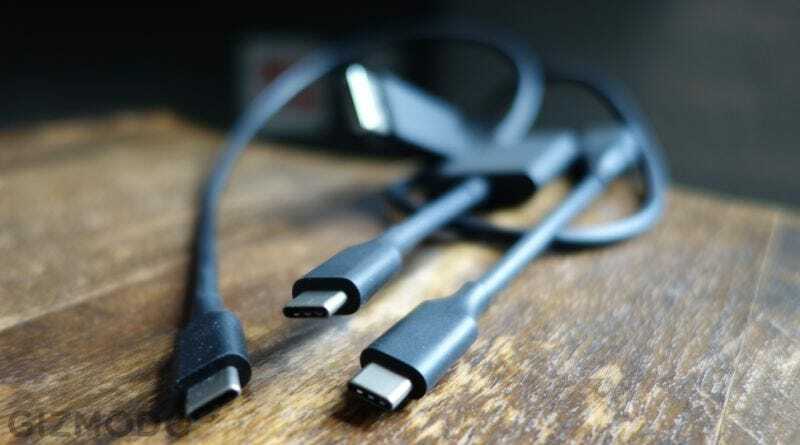 As Anandtech points out, one of the talks at Intel’s developer conference in China revolved around using USB-C as an audio connector. Doing so would bring a number of advantages: potentially higher-quality headphones and audio output, more options for remote controls, and power for things like active noise-cancelling headphones, negating the need for batteries. It could also shrink the headphone components in a device, making more space for batteries or processors. It’s not a new idea—in fact, rumors that Apple is going to do away with the headphone jack in the iPhone 7, in favor of Lightning-powered headsets, has already terrified the internet. Everyone’s headphones already use 3.5mm jacks, and audio quality is good enough for most people over analog. But don’t those arguments sound a little familiar? They’re the same ones that were wheeled out when DVD drives started vanishing from laptops, or parallel ports off PCs for that matter. We already have the [DVDs/printers] that work with those slots! No one will ever need more [picture quality/data size/bandwidth] than we currently have. Ultimately, the 3.5mm jack is probably going to die—whenever digital alternatives are cheap enough, and offer enough compelling features. Intel is just hoping that when that happens, consumers will be flocking to USB-C, not shelling out for Lightning-powered Beats.